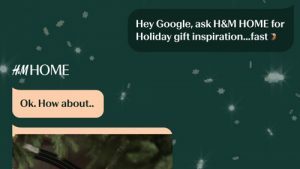 Over the years we have seen many advertisers trying to hack, mock or leverage their competitors ads. 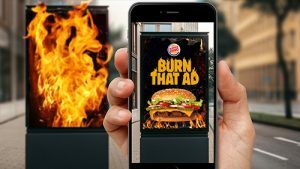 In Brazil, Burger King with the help of ad agency David SP used augmented realtiy to burn their competitors ads via their consumers mobile phones while rewarding the participating consumer with a free Whopper. Burger King is expecting to give away 500,000 Whoppers through this promotion, so that more and more people use their Burger King Express service which lets customers pre-order food for pickup. 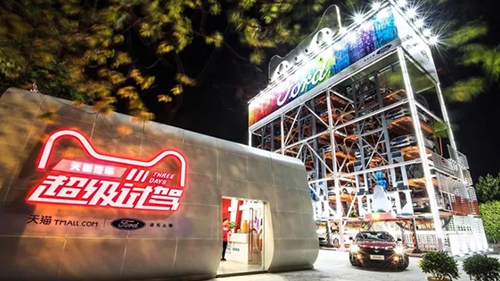 Alibaba and Ford have signed a deal to build a vending machine for cars in Guangzhou, China. The vending machine has a capacity of 42 cars and allows prospective buyers to book a three-day test drive before they buy. All the prospective buyer needs to do is select the car model they’re interested in, put down a deposit electronically via the Tmall app, schedule a pickup time, and snap a selfie so that the vending machine can recognize them when they pick up the car for a test drive. 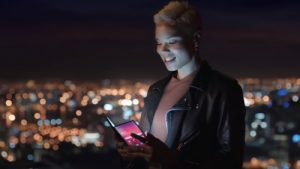 In its latest marketing effort to appear hip and tech savvy, India’s Kentucky Fried Chicken (KFC) created the “Kentucky Flying Object” a.k.a. “KPO” that could be created from select boxes of the chain’s newly announced Smoky Grilled Wings. The limited edition boxes are available in ten selected cities from today 25th January to tomorrow 26th January. 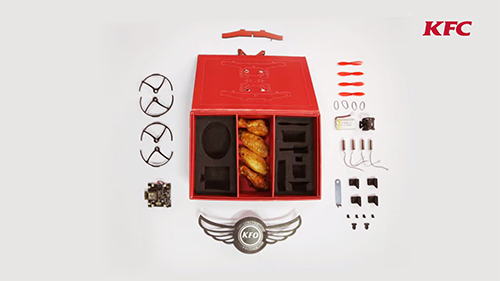 Every customer who orders the Smoky Grilled Wings, will not only get their spicy chicken wings, but also a fully functioning mini-drone. Lucky customers who receive the special boxes can look up the instructions to assemble the drone at www.kfodrone.com.